AdVital, your nutritionally complete powdered supplement has a neutral flavour that will mix quickly and easily into your favourite drinks and foods. and relax with a great tasting source of hydration and energy. 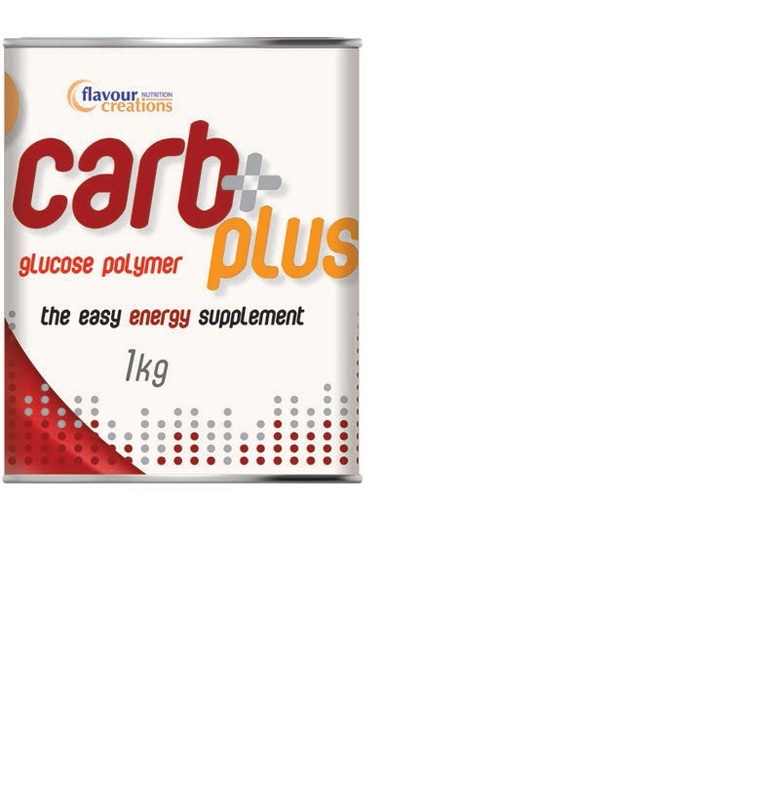 Carb Plus is a supplement powder which avoids the need to consume large amounts of food; the desired amount of carbohydrate can be added to any food or drink increasing calories and kilojoules without altering taste. Advital Cookbook for use with AdVital. summer's day, as they'll actually return to their original viscosity on thawing. hydration, they are now an even better source of calcium. Occasionally, it's a good thing to indulge a little, a dessert to top off a great meal, to boost flagging energy levels, or simply just as a well-deserved treat. Now the perfect dessert has arrived to deliver just that - Just Desserts Custards. Delicious and portion-controlled, they're designed to satiate desire without over-doing it, and they're 100% Gluten-free and 98% Fat-free. Simply put, nothing else quite stacks up. 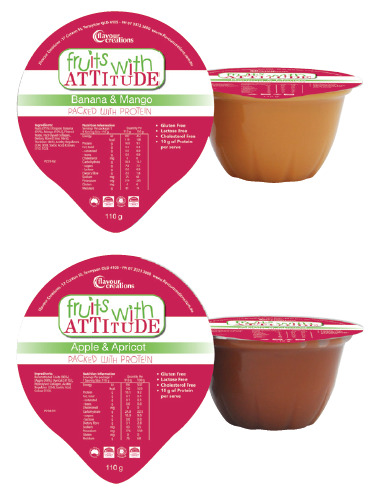 Enriched with protein and loaded with 26 essential vitamins and minerals, our Formulated Meal Replacement (FMR) Puddings are the equivalent to a meal and ideal for those with compromised nutritional status. 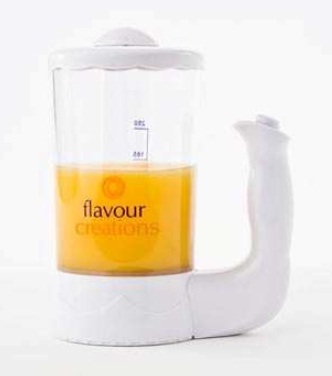 Serve heated, room temperature, chilled or frozen. Suitable for meals, mid-meal snacks and desserts. Pour over cake or fruit pieces. Our deliciiously smooth Vanilla and Strawberry flavoured Ice Cream, that's freeze-thaw stable. 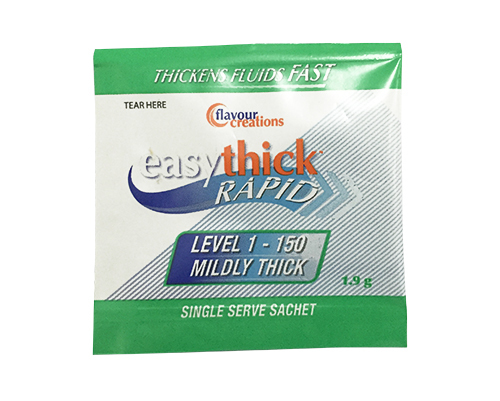 Flavour Creations’ instant THICK, is specifically designed for highly enhanced dispersibility and clarity. 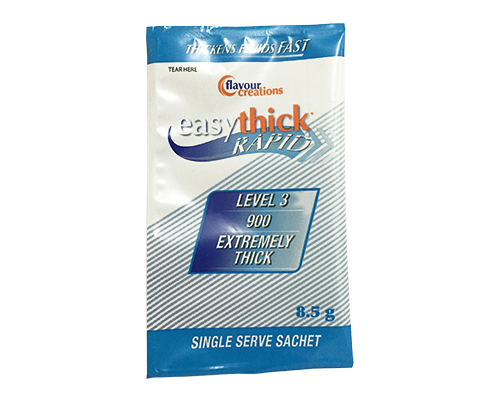 It is the indispensable solution for broad-based dysphagia management providing excellent hydration for single and bulk consumption. 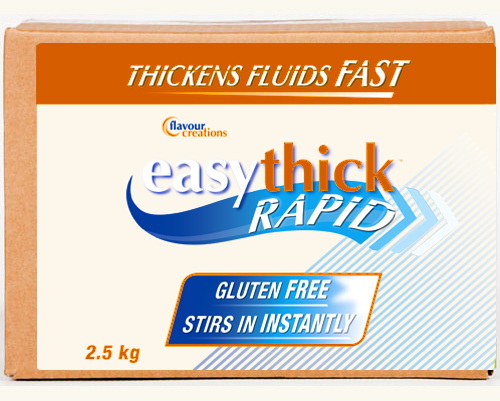 Available in a handy 100 g can or 2 kg pail. 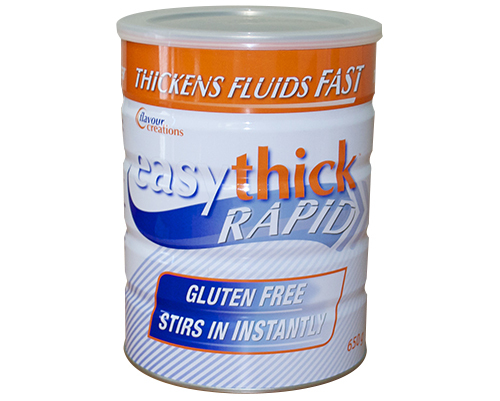 Flavour Creations Instant Thick Ultimate is leading the way in dysphagia management with this premium food and drink thickener. 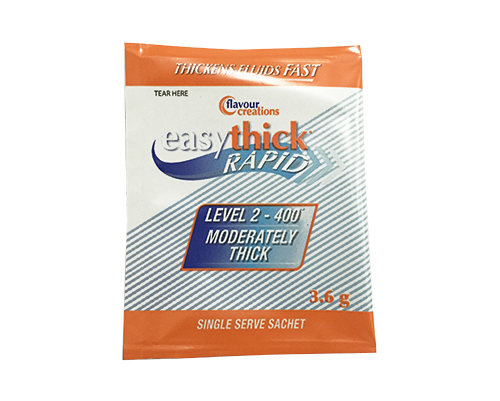 Specifically designed to provide excellent hydration with high dispersibility and clarity. their fluid and energy intake. dessert topping - truly a delicious treat no one should miss out on. Served frozen, chilled or at room temperature, this delicious Salted Caramel Protein Ice Cream has a consistent Level 900-Texture C viscosity. Recover is a clear high protein, high energy, low sugar drink developed in conjunction with Dietitians to assist in patient recovery. Coffee-time and tea-break are as enjoyable as always with our full-flavoured hot beverages. Heat them up and be assured of the viscosity staying consistent; add sugar or sweetener if so desired and relax with a great tasting source of hydration and energy.